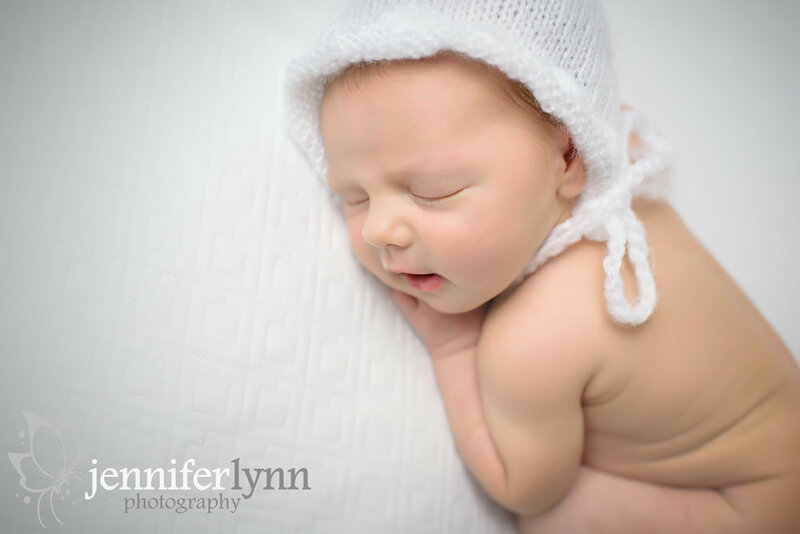 This sweet little girl was the first newborn girl I've gotten to photograph since May! I've seen so many cute little boys but it sure was fun to get out the red, pink, and headbands this afternoon! 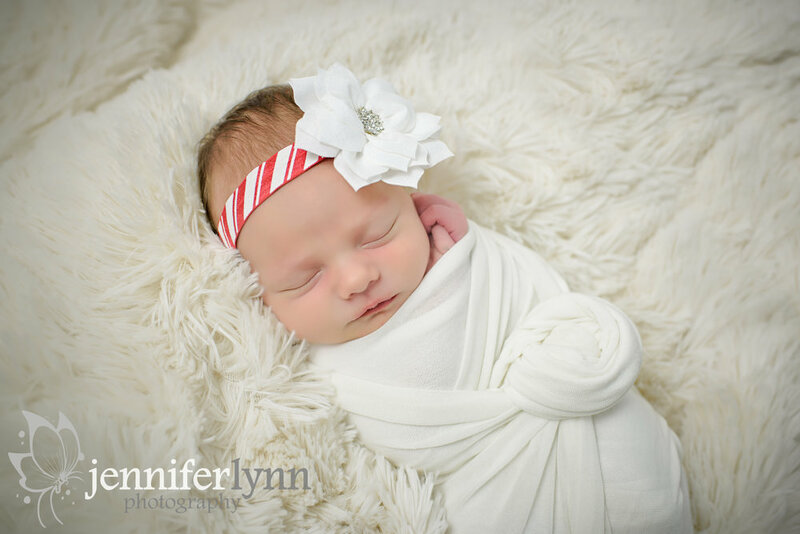 Miss Leighton is a true Christmas baby and was born on Christmas day. She was so sweet and tiny and I loved getting to soak up some newborn snuggles while she was here. She loved the props and being wrapped up, but the bean bag was tough at first since she said she'd MUCH rather be with mom or wrapped again and tucked in the fur rug. I'm so glad I got to meet her and her wonderful family today. What a truly special Christmas blessing for this family.